Double J stent with Pusher and suture is availble in one Tyvek Pouch as per EN-868-5 series standard. 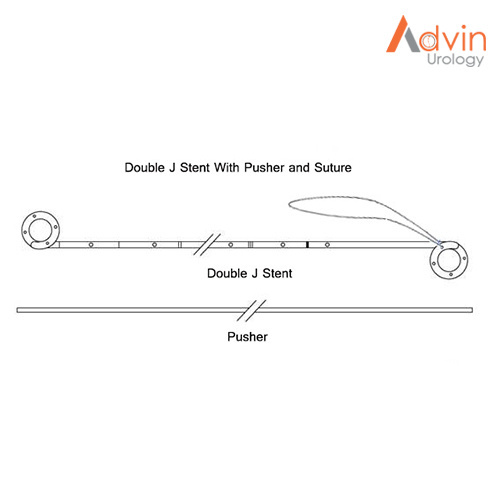 Pusher will help to place double j stent in Ureter properly. Suture help to physician to remove Double J Stent easily.